The Green, a park in Uptown, has the coolest fountain in Charlotte, quite literally. There are banks of water jets in the pavement, and they fire in sequence. Each fish’s mouth also spews water in its turn. The whole routine culminates in an all-fins-on-deck water show, and then the sequence repeats. This is the perfect place for kids to splash, Spring, Summer, or Fall. 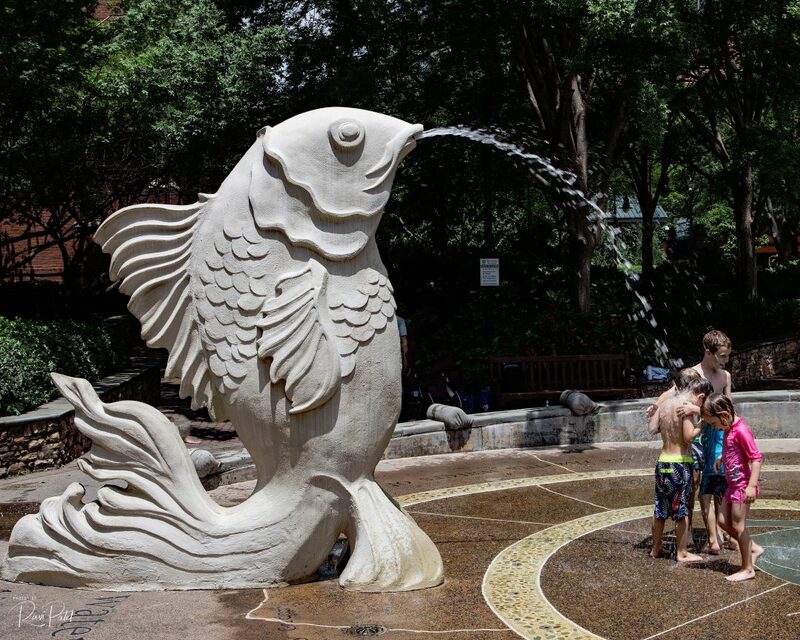 This entry was posted in North Carolina, Photography and tagged Charlotte, fish, fountain, kids, water. Bookmark the permalink.